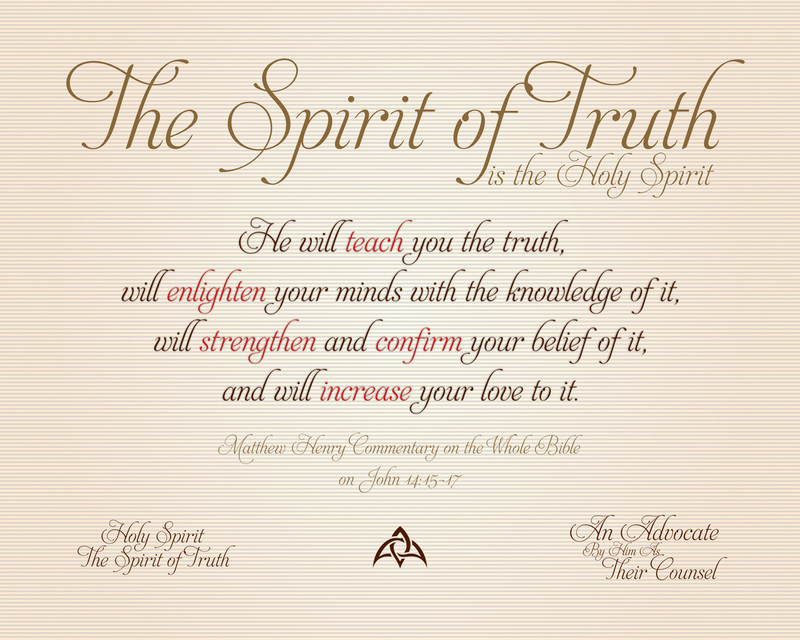 Of the in depth Commentary coverage of the passage in John 14:16-17, two (2) items stood out very prominently from the others for these prints. 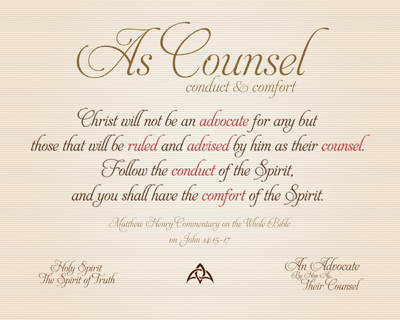 One is to know Who the Comfort that would be supplied and to understand the purpose of it being made so. 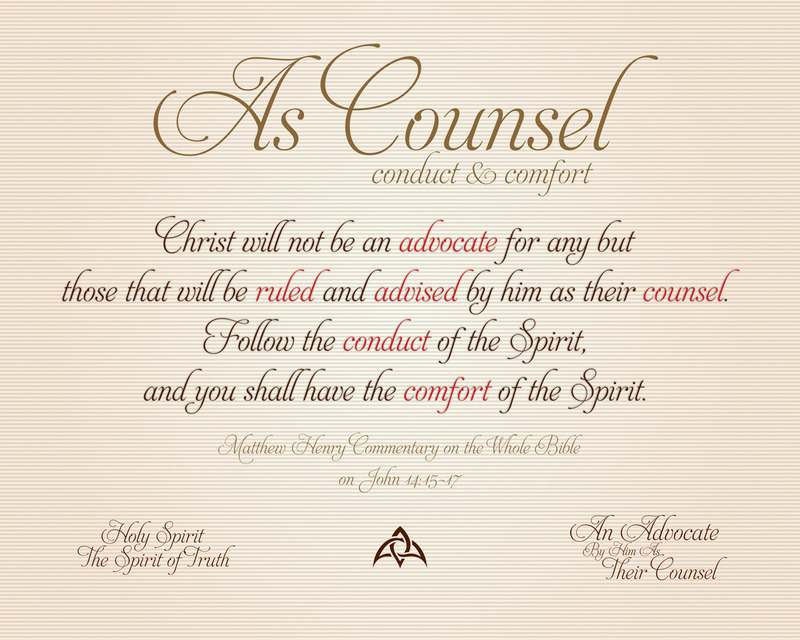 Christ will not be an advocate for any but those that will be ruled and advised by him as their counsel. 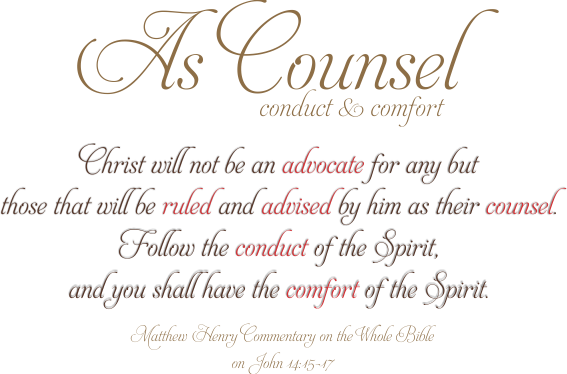 Follow the conduct of the Spirit, and you shall have the comfort of the Spirit. 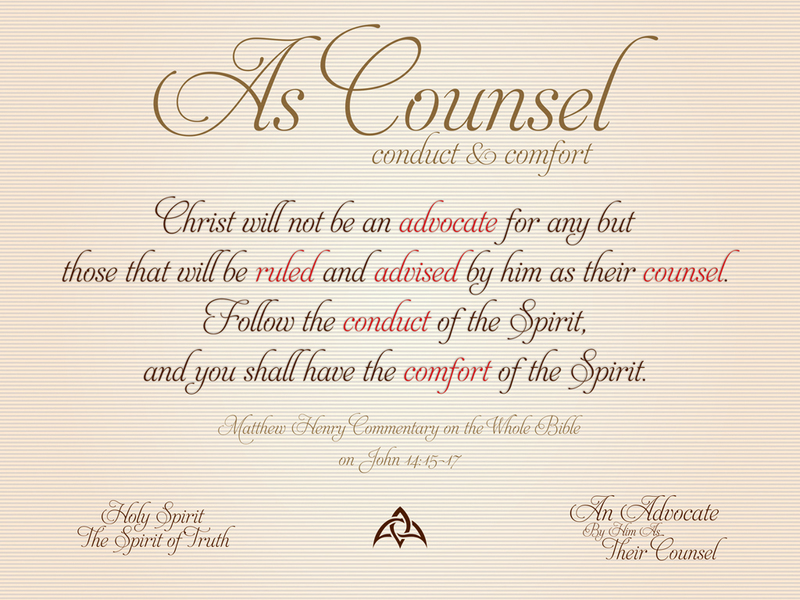 As Counsel | conduct & comfort – Matthew Henry Commentary on the Whole Bible. 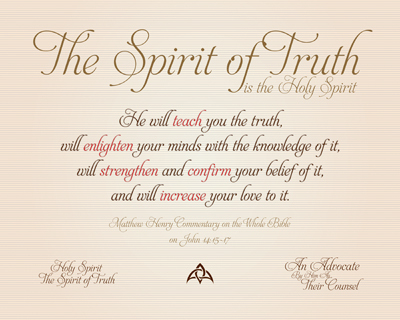 He will teach you the truth, will enlighten your minds with the knowledge of it, will strengthen and confirm your belief of it, and will increase your love to it. 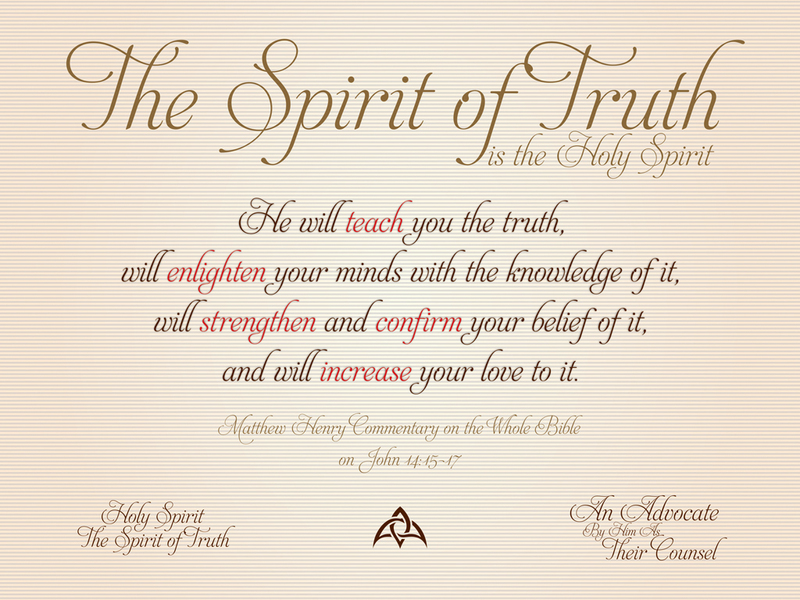 The Spirit of Truth | is the Holy Spirit – Matthew Henry Commentary on the Whole Bible.